Eat Your City: Van Loc Vietnamese Submarine Edmonton, AB - Best Vietnamese subs in the city! 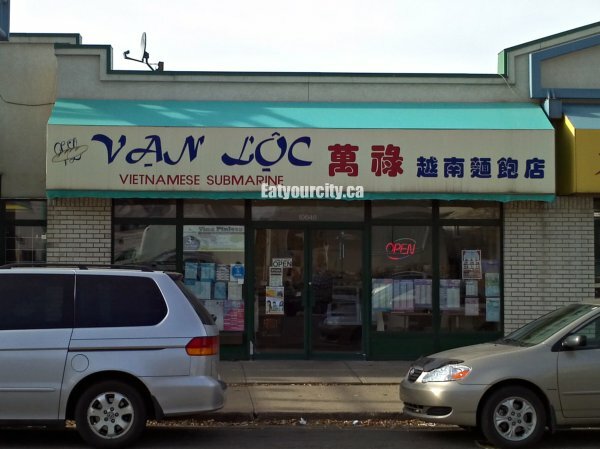 Van Loc Vietnamese Submarine Edmonton, AB - Best Vietnamese subs in the city! Where do we go when we have a craving for crisp baguettes stuffed full of savory Vietnamese shaved meats and crunchy pickled veges? 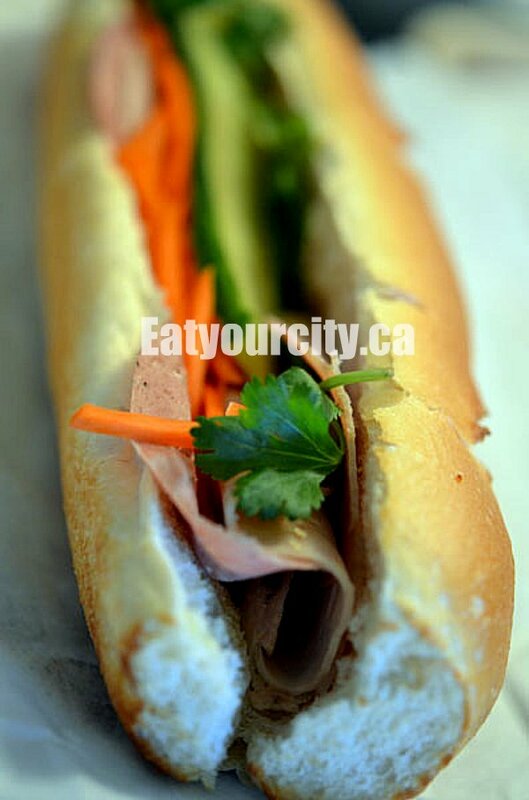 Look no further than Van Loc, a small Vietnamese deli that serves up arguably the best Vietanmese subs in Edmonton. When in Calgary, we get the spicy beef or chicken satay subs from the "dumpster" sub place in Chinatown. 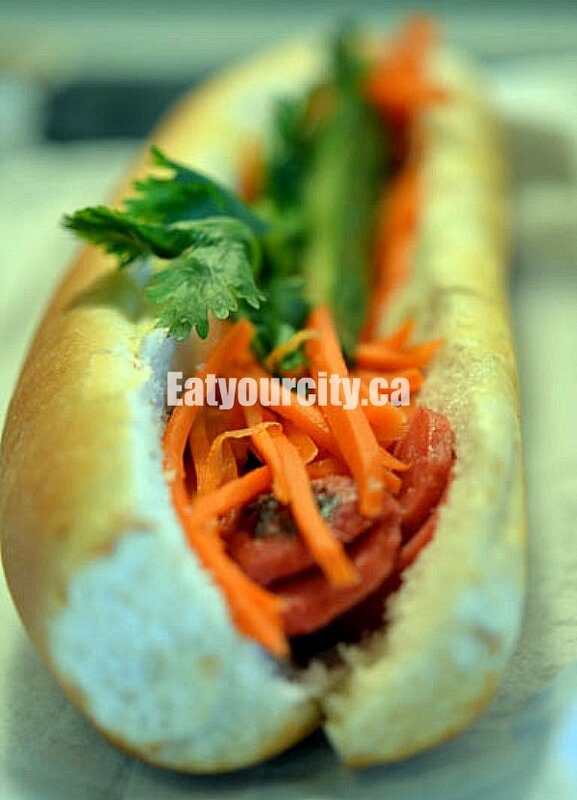 If you're wondering where the heck that is, ask any Vietnamese person in Calgary. 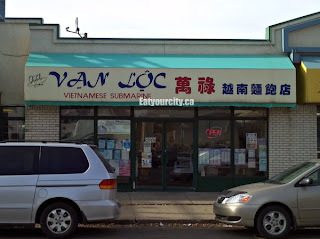 In Edmonton, we've been going to Van Loc for their delicious made to order Viet subs for years. They make in house traditional desserts and snacks which are usually popped into the display counter to the right, and all the various deli meats are available for purchase in the deli counter on the left. Sure, the decor could use some updating, and the menu board could be a bit less vague - but we're here for the subs, and if you're not certain of something, the staff will tell you what they put into everything. Order in the center where the cute little old lady with her ever present smile or her friendly family will make your sub to order. All subs are available with additional hot peppers (for the crazy sadistic people that love loading their subs up with insanely hot peppers). The Assorted sub is my personal fav - the french baguette is toasted and then loaded with several types of thinly shaved savory Vietnamese deli meats, a creamy and rich pate spread as well as a pile of refreshingly tangy lightly pickled julienned carrots, cucumbers and cilantro. Mmmmmm! 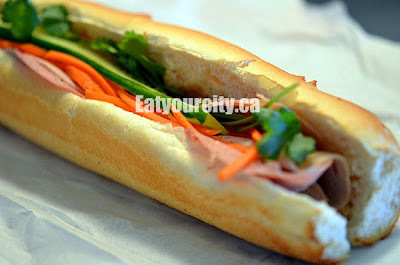 The best Vietnamese subs in the city hands down. Yummy! or in Viet - "Rất ngon!!"